Last year, I had the pleasure of watching grizzly bears play and interact outside of Yellowstone National Park in Montana. Nothing could have prepared me for what it was like to see them with my own eyes. Documentaries and photos may offer a glimpse, but watching them up close was a moment I’ll always treasure. But the fate of the Yellowstone region’s grizzly bears is quickly changing. Without the protections afforded under the Endangered Species Act, these animals are once again vulnerable to a life on the verge of extinction. Last summer, despite overwhelming opposition from the general public and hundreds of Tribal nations, the Yellowstone grizzly bear population was removed from the Endangered Species list. Now, management of these majestic creatures lies with the states — and grizzly bears are about to be literally caught in the crosshairs. In just weeks, Wyoming will allow the first trophy hunt of grizzly bears in the U.S. in nearly 50 years. Decades of work recovering the animal to a healthy and sustainable population size — which was accomplished thanks to endangered species protections — could be quickly undone. I don’t want this to happen. And neither do the millions of people who come to see these animals in Yellowstone every year. It’s unthinkable. Even worse, now the Department of the Interior is attempting to completely gut the Endangered Species Act, meaning this same scenario could play out countrywide. Hundreds of other animals, plants, and pollinators saved by the act’s protections will be harmed as Interior Secretary Ryan Zinke rolls back protections to make way for fossil fuel development. In a nutshell, the changes proposed would mean management of vulnerable species would be placed into the hands of aggressive state governments in thrall to the fossil fuel industry. And they would open the door for the extraction industry to influence decisions that should be based on sound science. It would become much harder to list species as endangered or threatened. And the opportunity to challenge de-listings based on sound science criteria — like we’re doing for the Yellowstone grizzly — could be effectively eliminated. Let’s be clear: Zinke’s efforts to repeal the Endangered Species Act are a favor to one constituency only: industries that want to log, drill, frack, and mine public lands and sensitive habitats. From day one at his post, Zinke has made clear that short-sighted profit and corporate cronyism take precedence over the protection of our public lands, wild spaces, and the animals who inhabit them. Animals on the brink of extinction need the resources and expertise that only federal agencies can provide, but only if those agencies prioritize conservation, not corporatism. The Endangered Species Act needs to be fully implemented — not changed, not “modernized,” and especially not gutted. It’s close, but it’s not too late for the Yellowstone grizzly bear. There’s still time to speak out for grizzlies and the hundreds of other iconic animals at risk from these rollbacks. We have a responsibility to future generations to protect endangered species and the places they call home. It’s a matter of correcting our past mistakes and protecting our wild legacy. 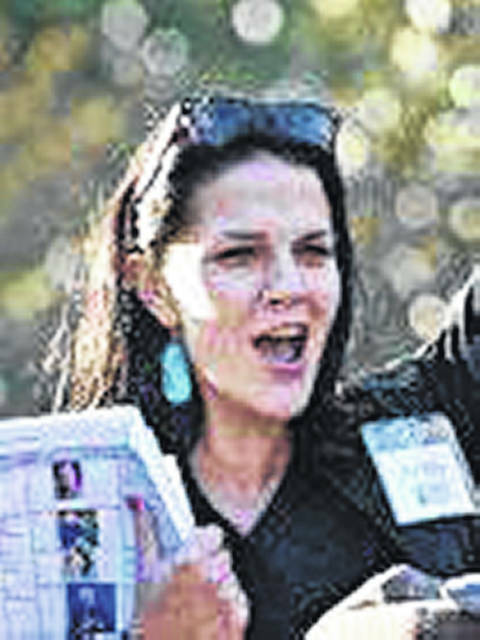 Lena Moffitt is the Director of Sierra Club’s Our Wild America campaign. Distributed by www.OtherWords.org.